The Laurel and Hardywood Convention is pleased and proud to announce the second celebrity guest of the convention. 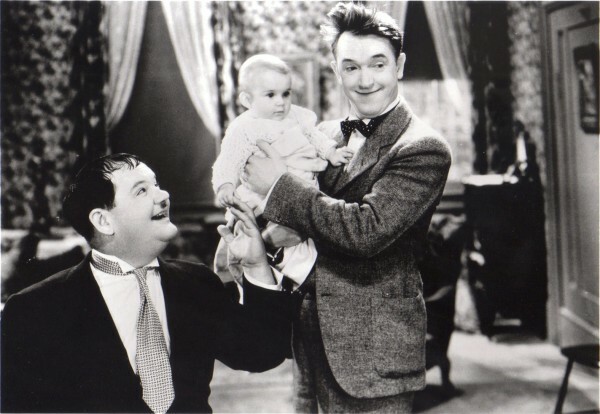 It is only fitting that since the first guest was Lois Laurel Hawes, Stan’s daughter, that the second guest should be Ollie’s baby. (And I suppose the baby of Arabella Hardy-Mae Busch-too). Margie Campbell! Although she as little memory of the experience she was in a Laurel and Hardy film, “Their First Mistake” in 1932. Here other film appearances include “Tess of the Storm Country” with Janet Gayner and Charles Farrell; “Life Begins” with Loretta Young. Playing what else? A baby! She was hired to be the baby in “Secrets” with Mary Pickford but cried each time she was picked up and finally fired washing up her career at the very tender age of two. Here is your chance to meet someone that has appeared with the boys that has never been to a convention before!